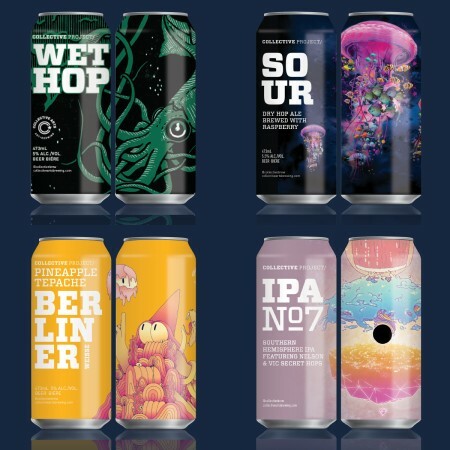 HAMILTON, ON – Collective Arts Brewing has announced details of five seasonal beers for fall that will be released in coming weeks. 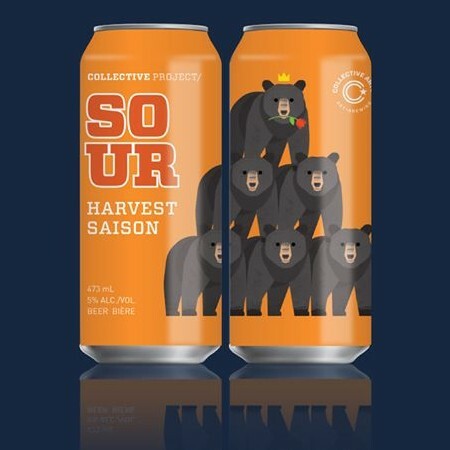 Our Sour Harvest Saison is truly a unique mash up of styles and flavours. This brew starts as a classic Saison, utilizing a traditional Saison yeast to provide both spicy and earthy tones. We then inoculate the wort with Lactobacillus for 24 hours, giving the brew a refreshing sour flavour. From there we add locally grown and roasted pumpkins and traditional pumpkin pie spices. The final product is pure magic: sweet sour, and spicy. Refreshing and unique. Sour Harvest Saison will be available on Saturday September 15th at the brewery, and next week at select LCBOs and licensees. Wet Hop Wheat (5% abv) – pale ale brewed with “local Ontario hops picked within hours of brewing” and “a touch of Briess Wheat which lends this ale it’s goldish colour”. Raspberry Dry Hopped Sour (5.8% abv) – mixed fermentation brew with raspberries that is “juicy, sour and extremely refreshing”. Pineapple Tepache Berliner Weisse (5% abv) – sour ale that “incorporates the flavours of the traditional Mexican drink Tepache,” including fresh pineapple rinds, cinnamon, and clove. IPA No. 7 (6.7% abv) – latest release in the ongoing Collective Arts IPA series, this one “showcases the unique qualities of New Zealand hops”. For more details, see the full announcement on the Collective Arts website.